Kaiser and Favaro are both bounty hunters within a world shared by humans, angels and demons. They were close friends in their childhood but turned into enemies after the events in which both of their fathers were killed. Being of fundamentally different character they now once again have to cooperate as they both promised to help the mysterious demon girl Amira on her journey to Helheim. Things get even more complicated when word spreads that the first half of the key to the seal of Bahamut, a monster that laid waste to the world 2000 years ago, was stolen. 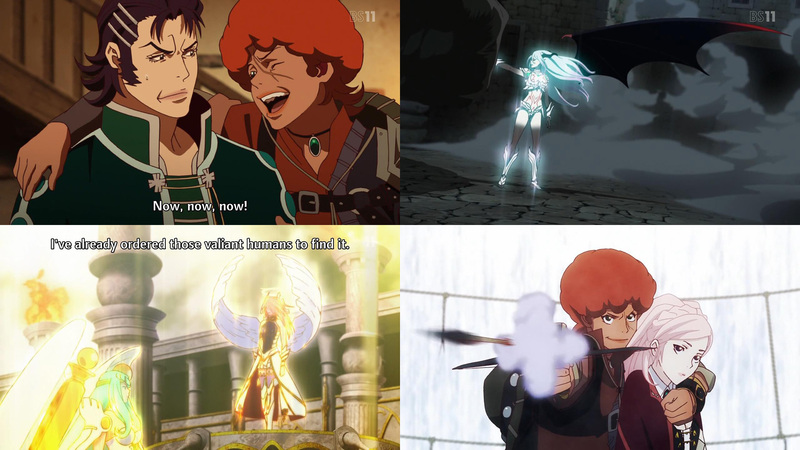 Shingeki no Bahamut Genesis is set in a quite interesting medieval fantasy world. 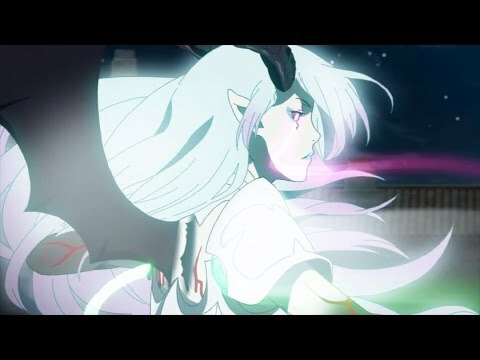 The dispute between angels and demons is overshadowed by the fear of the possibility of Bahamut’s return, while there are different fractions that each has their own agenda that is slowly revealed to the viewer. Humorous characters are used to lighten up the mood within the story, which otherwise could have been more dark and epic. If this is for better or worse is for the viewer to decide. There clearly went a lot of work into the design of the different characters, races and costumes, yet a 12 episode series can only offer a small glimpse into such a rich and interesting universe. Many things that are introduced to the story are only briefly glossed over or are left unexplained. More episodes or a second season would have offered more opportunities to delve deeper into this world and its characters.